Raspberries have long been touted as excellent superfoods, but not many people know that its leaves are just as beneficial. According to the health and wellness website HealthMama.com, raspberry leaves are particularly beneficial in promoting women’s health, especially during pregnancy. The leaves are often combined with other medicinal herbs to optimize its positive effects on women’s overall well being. Raspberry leaves are best known as a pregnancy aid, according to an article on the Organic Facts website. Raspberry leaves contain a beneficial alkaloid called fragine, which in turn strengthens and tones the muscles and enhances the health of the uterine walls. Experts infer that the alkaloid is responsible in stimulating labor and easing childbirth. The component is also touted to alleviate labor pain and speed delivery. The same constituent is known to ease menstrual pain in women. Raspberry leaves are also a rich source of potassium, an essential mineral that improves cardiac function. The high potassium levels in raspberry leaves are shown to lower blood pressure levels and reduce the risk of developing cardiovascular conditions such as atherosclerosis, heart attacks, and strokes. The leaves are incredibly helpful in boosting the body’s immunity as well. Raspberry leaves boasts with an ample supply of vitamin C that enhances immune function and promotes white blood cell production. Likewise, the anti-inflammatory properties of raspberry leaves are shown to alleviate symptoms of arthritis and gout. Aside from this, raspberry leaves are valued for their positive effects on the body’s digestive profile. The leaves are also known to possess strong anti-inflammatory and antioxidant properties that sooth muscle contraction in the digestive tract. This results in improved bowel movement and relief from gastrointestinal discomfort, stomach aches and constipation as well as bloating and cramping. People suffering from fertility issues may also benefits from consuming raspberry leaves. The leaves are known to promote hormonal balance and stimulate fertility in both men and women. Besides this, raspberry leaves are also touted as an effective weight loss regimen as it helps coax the body into feeling fuller for extended periods of time. Furthermore, the abundant supply of antioxidants and vitamins C and E in raspberry leaves are known to address various skin disorders. Raspberry leaves are found to relieve skin irritation and ease inflammation associated with psoriasis, acne and eczema. The leaves can be used as a topical treatment or consumed as an internal healing agent. 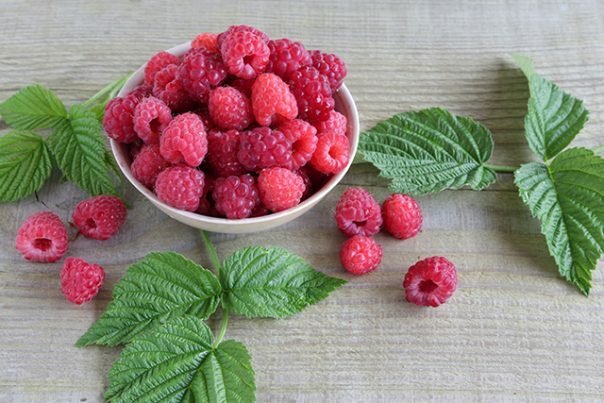 Raspberry leaves are particularly beneficial to pregnancy and women’s overall health status. The leaves also support heart health and the body’s digestive profile. Likewise, raspberry leaves address bone and joint pain and fortifies the body’s defenses against infections. The leaves greatly benefit the skin as well. Raspberry leaves are often consumed as hot tea. The leaves are often infused with other medicinal herbs such as nettle and peppermint to alleviate pregnancy woes. A Mountain Rose Herbs entry features a step-by-step guide in brewing raspberry leaf tea. The leaves can also be used in making tinctures and even coolers such as popsicle, according to an article posted on the Calorie Bee website. Raspberry leaves prevent pregnancy woes, menstrual crams, and other issues associated with women’s health. Raspberry leaves stave off cardiovascular disorders, digestive issues, arthritis, and chronic pain. Raspberry leaves promote fertility and keeps excess weight and skin diseases at bay. Raspberry leaves benefit the female reproductive system. Raspberry leaves also support the heart, the skin, and the bones and joints. Raspberry leaves promote both the immune and digestive systems.